Preheat the oven to 400 degrees. Add the carrots and parsnips to the bottom of a medium baking dish. 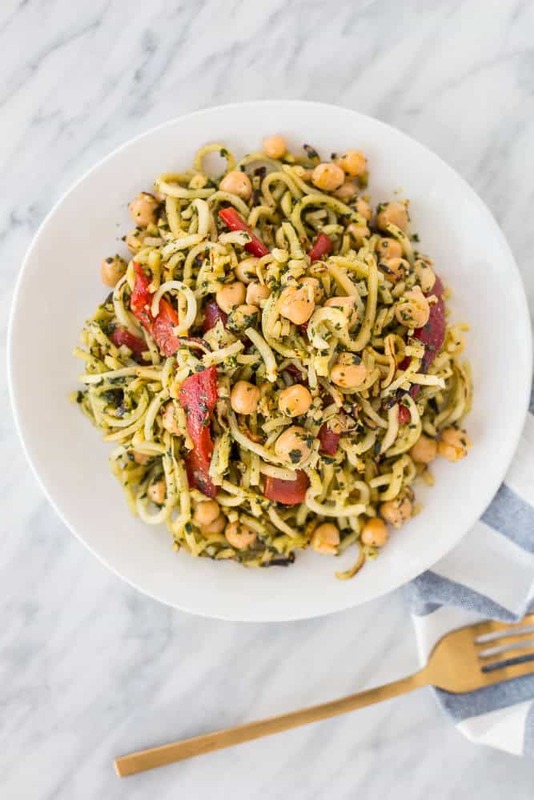 Drizzle with olive oil and season with salt, pepper, and rosemary. Toss well to combine. 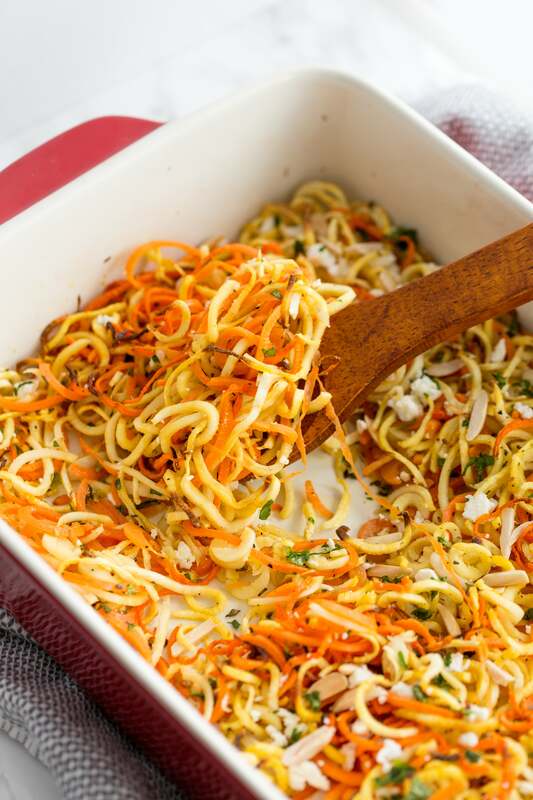 Spread the noodles out in the baking dish and roast for 20 minutes or until vegetables are tender. Remove from the oven and immediately transfer to a serving platter (if using) and garnish with feta, almonds, and parsley. Serve. 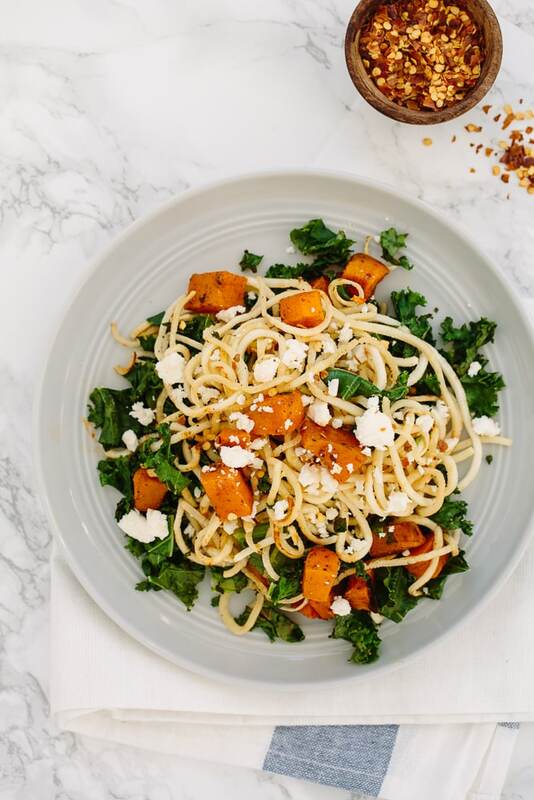 This easy roasted vegetable side dish cooks quickly, thanks to the spiralizer, which turns the carrots and parsnips into thin strands. 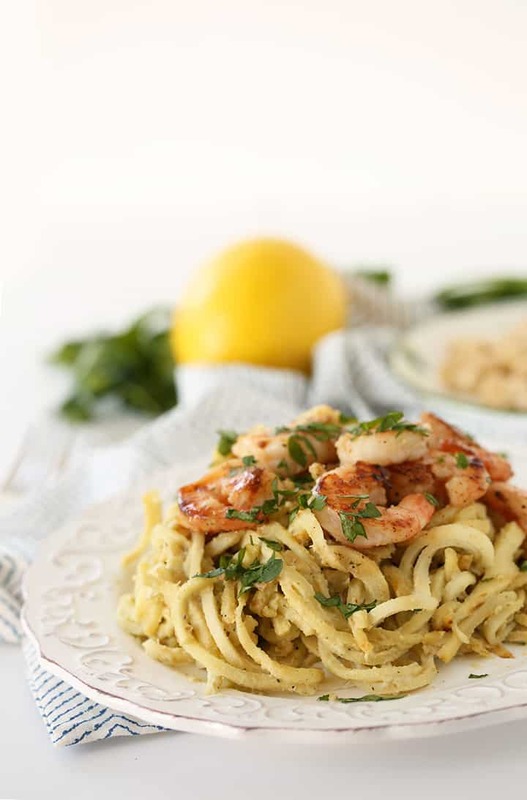 Topped with feta and fragrant toasted almonds, this dish is ideal for a holiday gathering or wintertime dinner side. 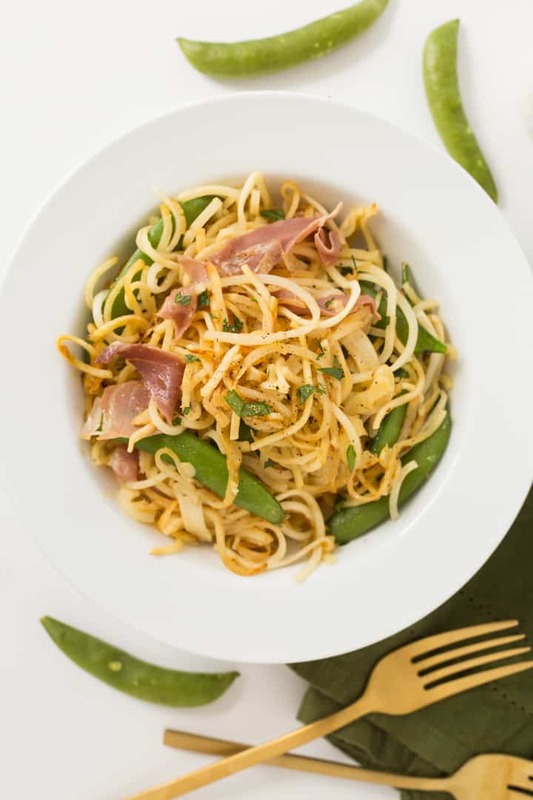 This carbonara pasta is made with spiralized parsnips, for a lower carb, clean version of the classic Italian pasta. 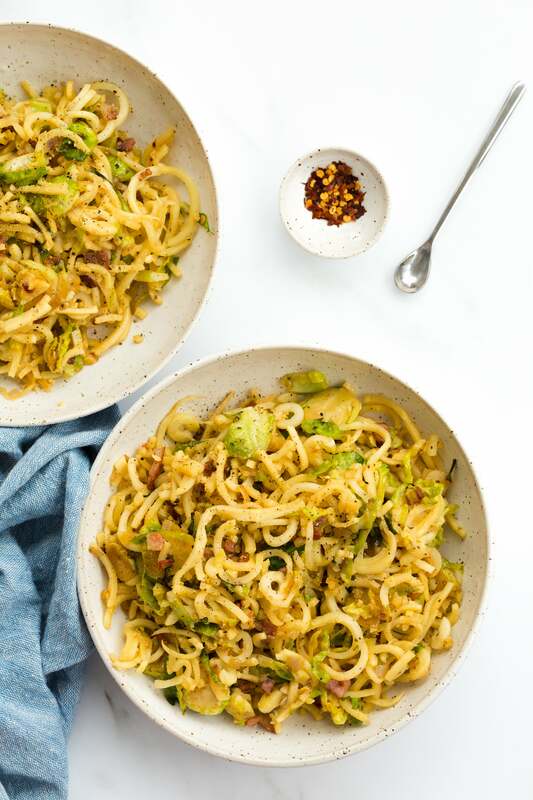 Parsnips and brussels sprouts complement the sweet pancetta for a delicious spiralized pasta. 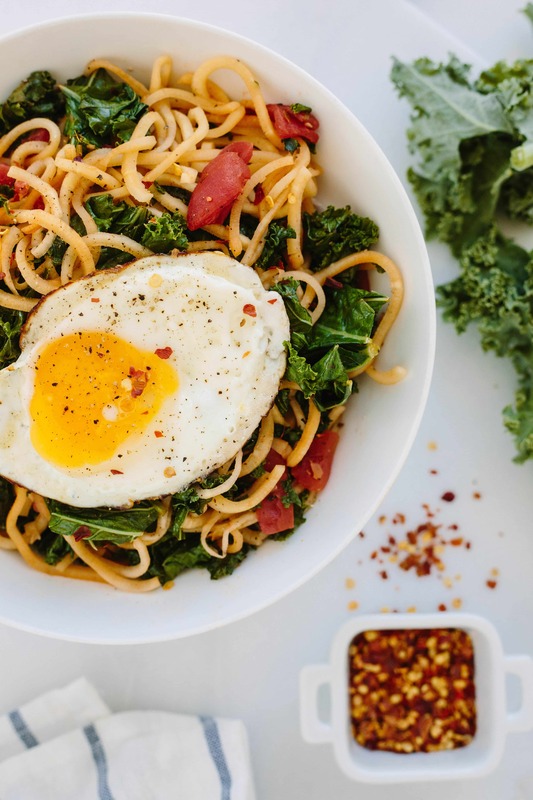 If you’re a breakfast for dinner type of person, you’re going to love today’s simple dish with a twist that makes it suitable for dinner: a savory tahini sauce that adds an extra oomph to an otherwise very basic meal! I drizzle raw tahini on literally everything (I even dip my veggies in it! 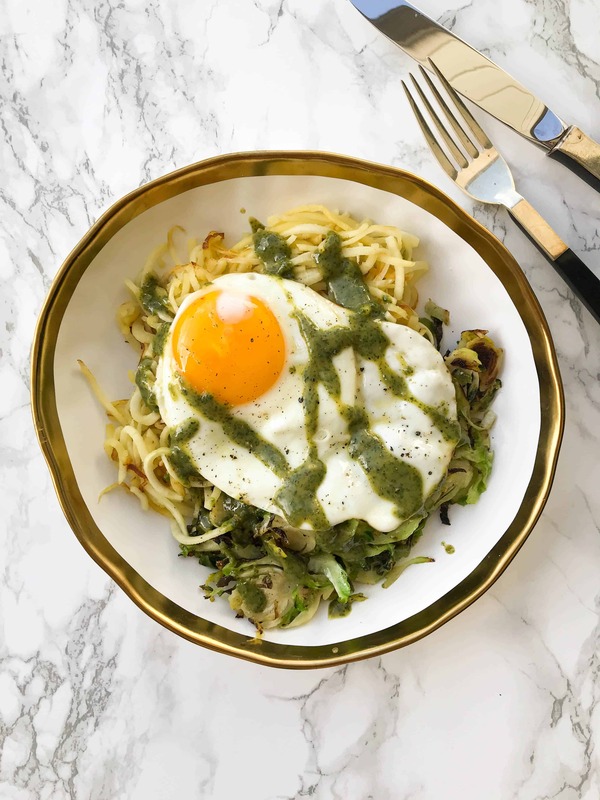 ), but this fresh herb tahini (adapted from this Bon Appetit recipe) adds a herby tang that goes so well with the yolky fried egg and veggies. 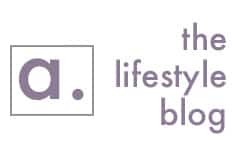 Inspiralized readers, meet Phoebe Lapine, the woman behind the wellness blog, Feed Me Phoebe. 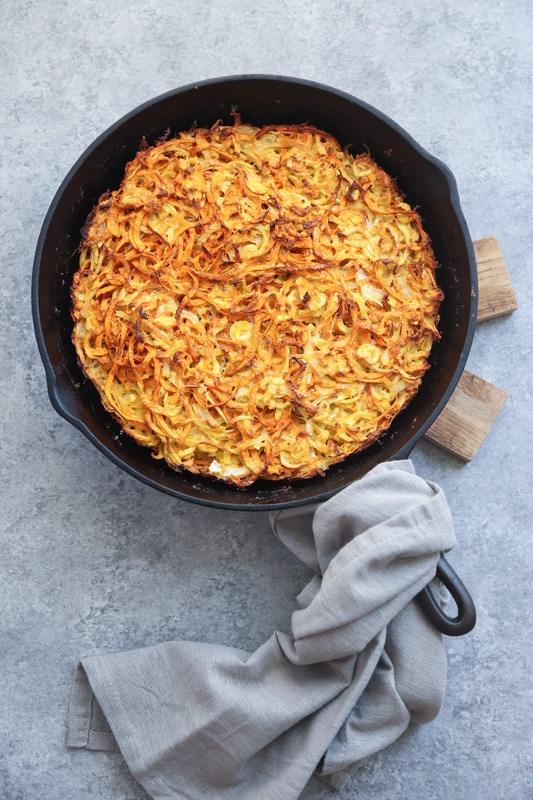 Phoebe’s dishing up this Spiralized Sweet Potato Parsnip Kugel, just in time for fall-time deliciousness and the upcoming Jewish holidays like Rosh Hashana and Yom Kippur! It can be tough to squeeze in veggies first thing in the morning, unless you’re making a green smoothie, or a veggie-stuffed omelette. One of my favorite “tricks” to make something breakfast-appropriate is to top it with a fried egg. It’s also my trick to hearty-up a meal for my husband. 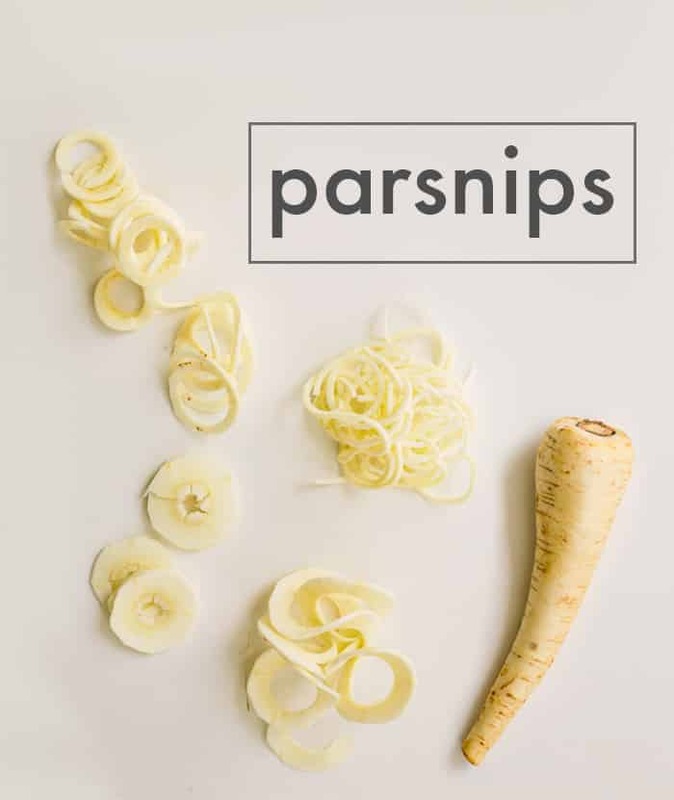 Parsnip is a lovely root vegetable that has a nutty, savory taste. 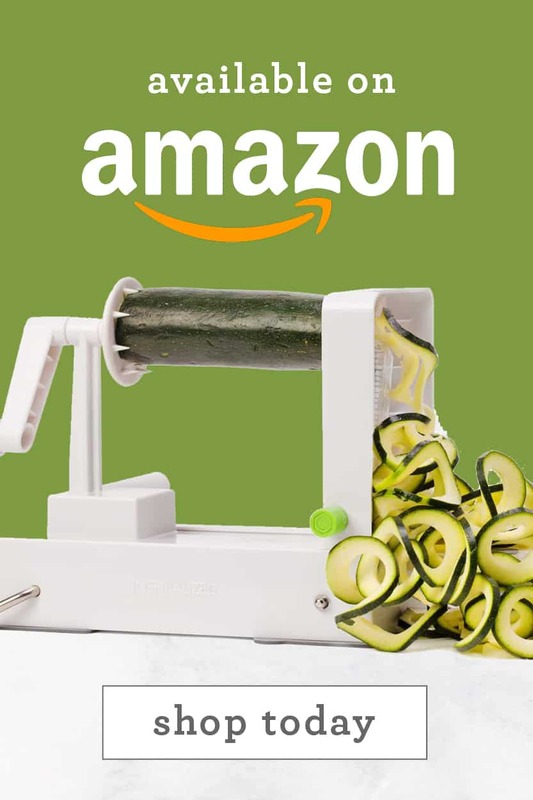 It’s in season now and through the late winter, so take advantage and grab yourself some to spiralize! 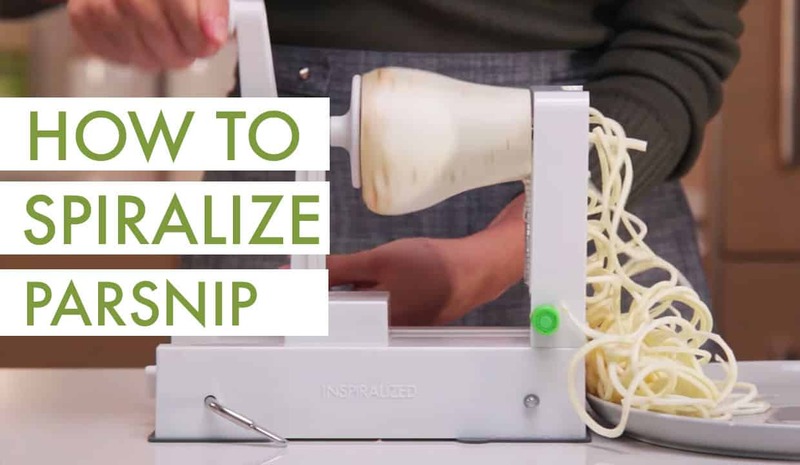 It’s an easy veggie to spiralize, as long as you find one large enough to get a good spiralized yield (aim for a diameter of 2″ for best results, but 1.5″ will work too.) 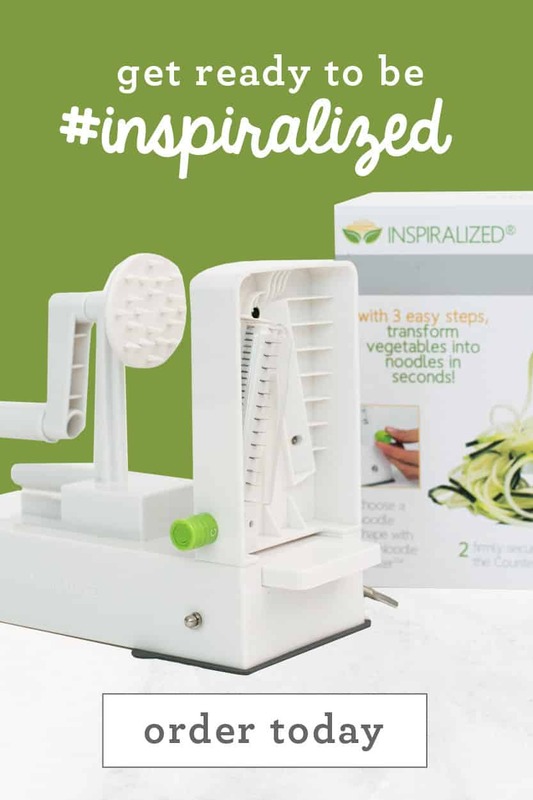 Then, use a strong vegetable peeler to peel it and of course, use the Inspiralizer to spiralize it! 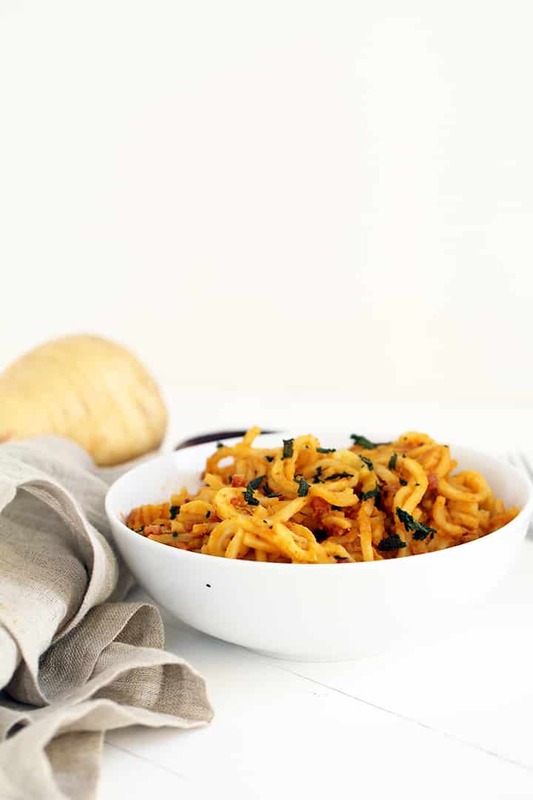 Once you have the parsnip noodles, you’re on your way to making a bowl of parsnip pasta. My personal favorite? 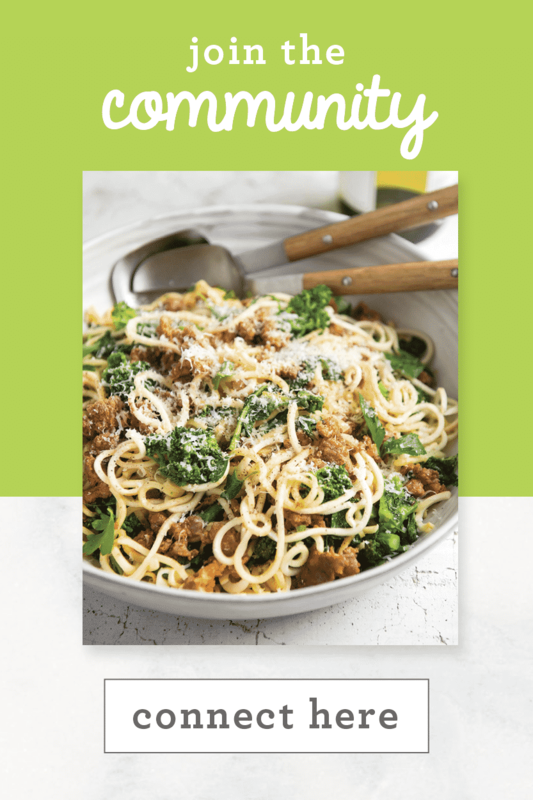 The Broccoli Rabe and Sausage Parsnip Pasta from the Inspiralize Everything cookbook. It really feels like I haven’t posted a new recipe in months. 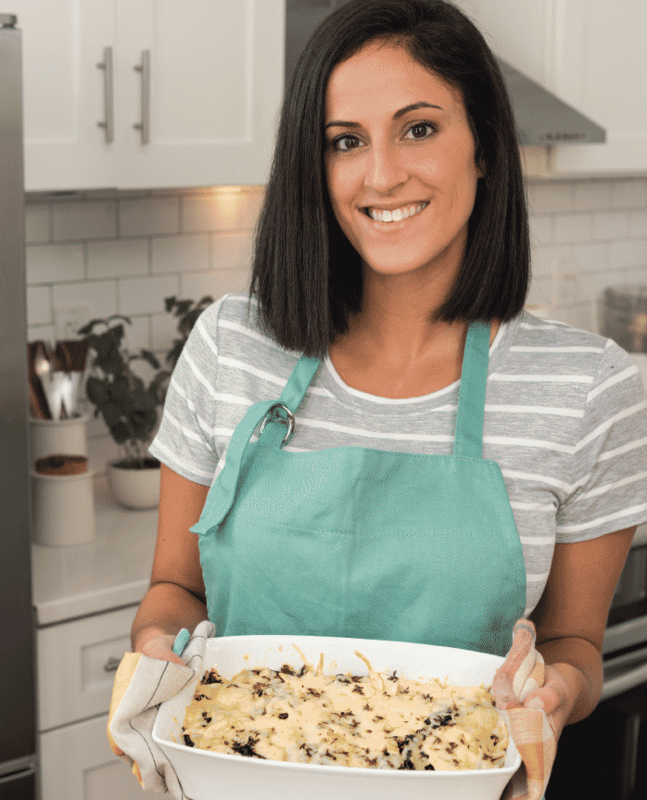 If you don’t follow me on Snapchat, Instagram or Twitter, then you might not have noticed that I just spend the past 5 days in NYC at a studio, on set of the photoshoot for my second cookbook. Aside from that, I’ve been spending every minute before, after, and in between on editing my manuscript. I have a very, very good reason for not posting this recipe in the morning, like I normally do. 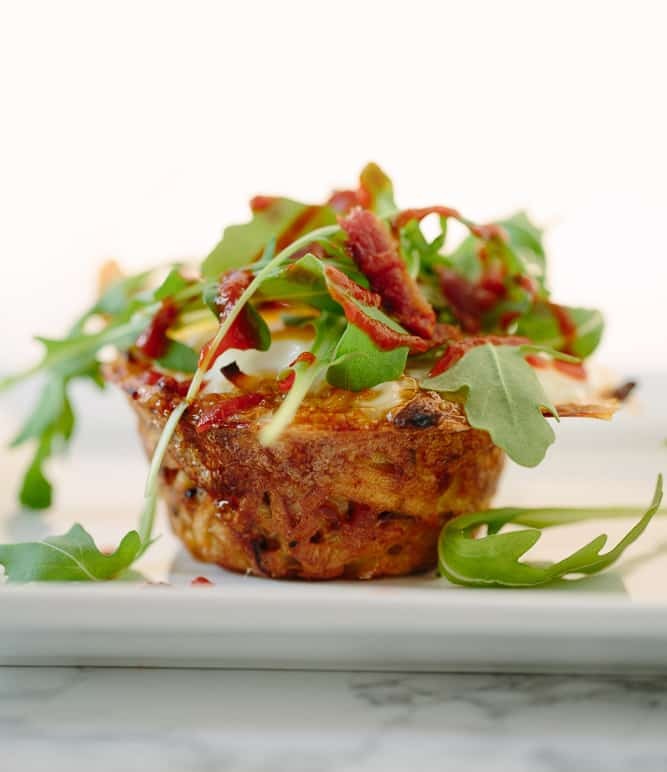 For the next several days, I’ll be sharing the recipes I made for Tuttorosso Tomatoes for their Inspiralize the Spring campaign. 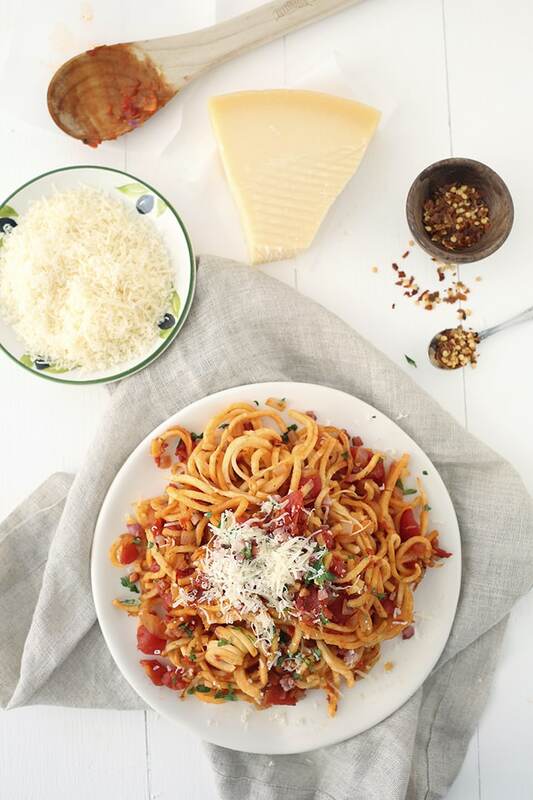 I “inspiralized” some of their existing recipes and also made totally brand-new ones, like today’s spaghetti all’amatriciana. Preparation: Peel and slice off ends flatly and evenly. 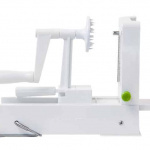 Storage: Seal in an airtight container, lasts up to 10 days in the refrigerator, can be frozen. 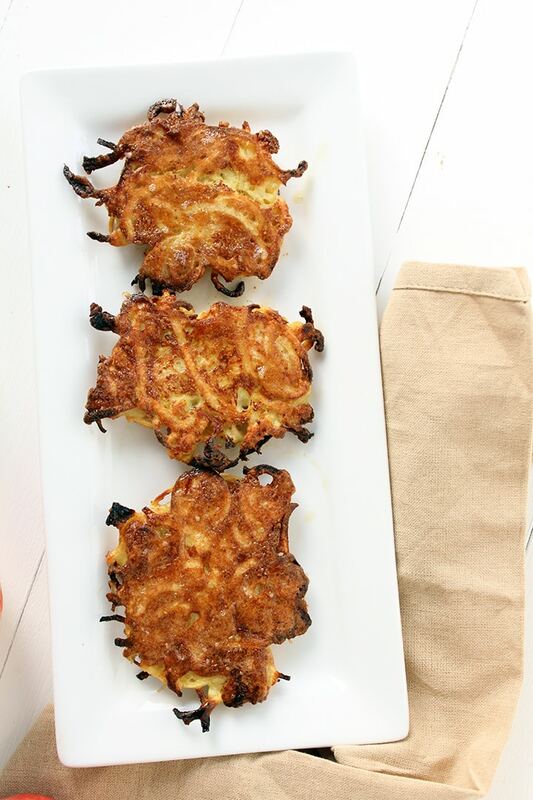 Click here for Parsnip Recipes! 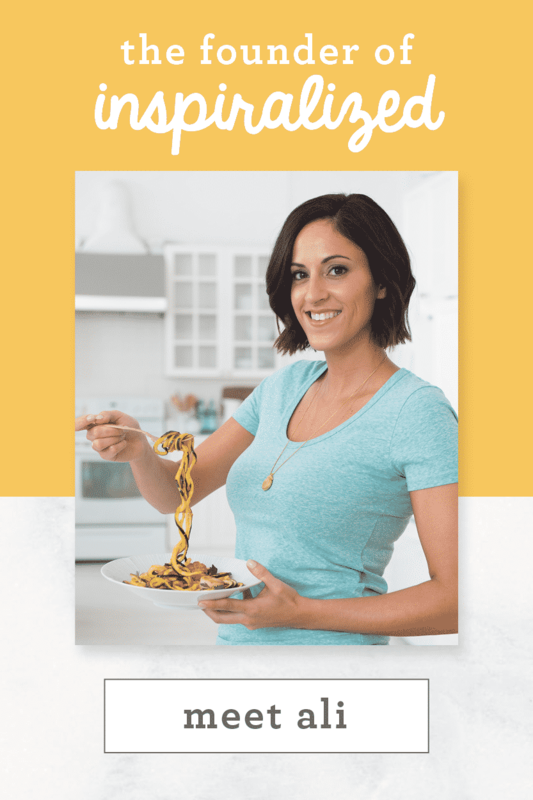 I got the okay from my publisher to share a recipe from my cookbook with you all! 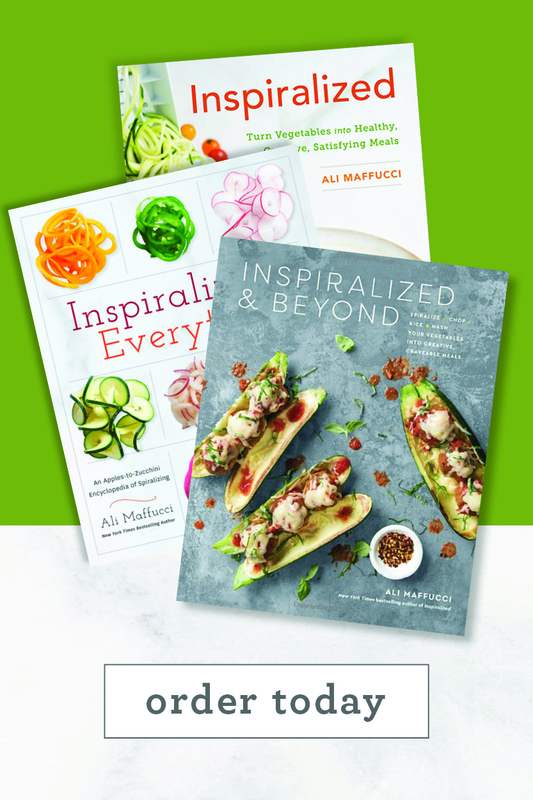 Every day I walk by my bookshelf, I can’t help but pick up my cookbook. 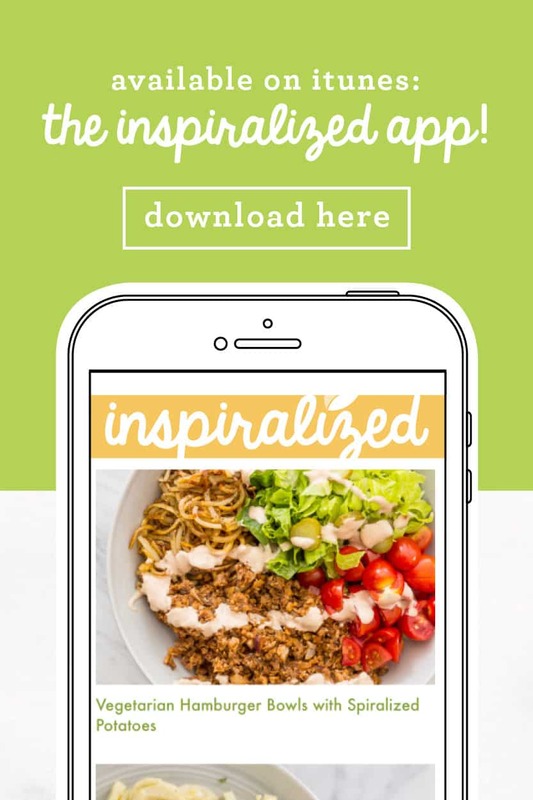 I’m so proud of it and I thought by now, I’d be “over” it, since I’ve been looking at the same recipes for about a year. Every week, when I grocery shop — well, I grocery shop almost every day, but I do a big grocery shop at least once a week. I usually buy my shrimp frozen, unless I know I’m going to be making it that night or the next for dinner. Christmas at my grandparents’ house growing up meant lots of fish. Seven fishes, to be exact. For those of you who don’t do fish on Christmas and do ham instead (or if you’re like my crazy ma and you make a whole ham just for leftovers), today’s recipe is for you: use those leftovers! As you may know, I just recovered from a cold. On the first day, I couldn’t get out of bed to make myself anything, so I had to subject myself to canned soup. I always have Amy’s minestrone and vegetable soup in my pantry, for emergencies. Once I had the strength to truly feed myself, I FreshDirected myself some gluten-free matzoh meal to make matzoh ball soup, the true cure for any and all sicknesses, like Windex is to Toula’s father in My Big Fat Greek Wedding.